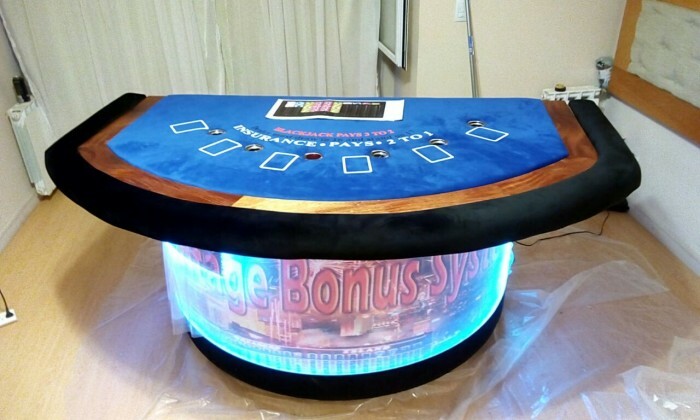 PORCENTAGE PROGRESSIVE METER INDICATOR TABLE GAME SYSTEM. The method of the present invention generally involves a typical casino or cardroom game modified to include a progressive jackpot component. During the play of a Twenty-One game, for example, in addition to this normal wager, a player will have the option of making an additional wager that becomes part of, and makes the player eligible to win, the progressive jackpot. My father is Mickel A.Kock from Aruba copyrights holder of the percentage meter progressive system of casino table games. 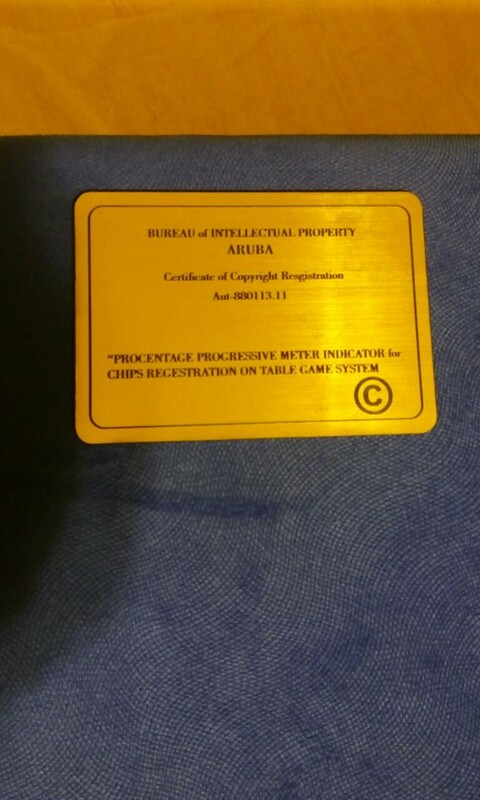 My father has a certificate of copyright for procentage progressive meter indicator for chips register for any casino table game system. And is for sale. 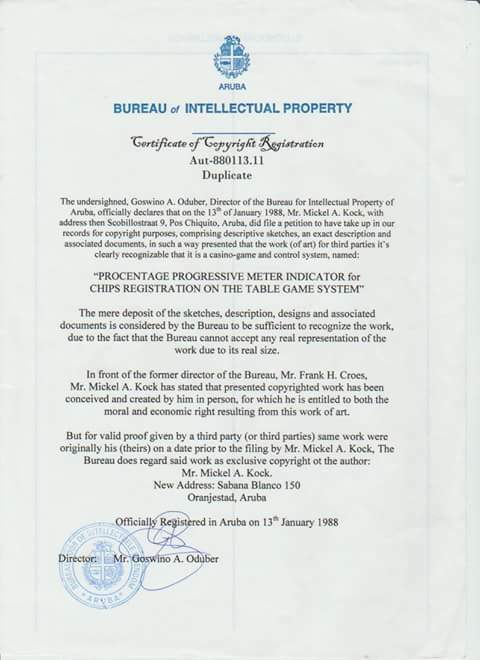 This copyright is registered since 13 Jan.1988 before the patent of Shuffle-Master company was registered, and sold to scientific gaming company,and is being used in all casino table games but on patent rights. But this copyright is valid for 125 years. We have all original documents here at the goverment office. 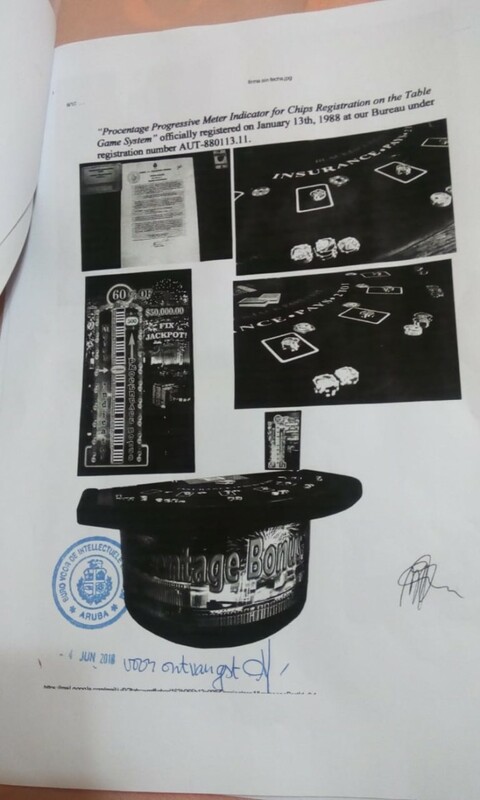 Allot of casino gaming companies are renting this system from scientific gaming, but with this copyright they would have the authority to create the system and no longer need to rent it from other companies. 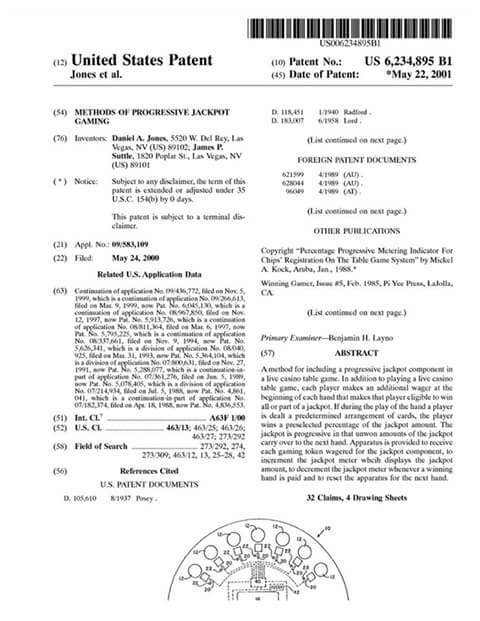 Page created at 2019-04-26 18:26:21, Patent Auction Time.